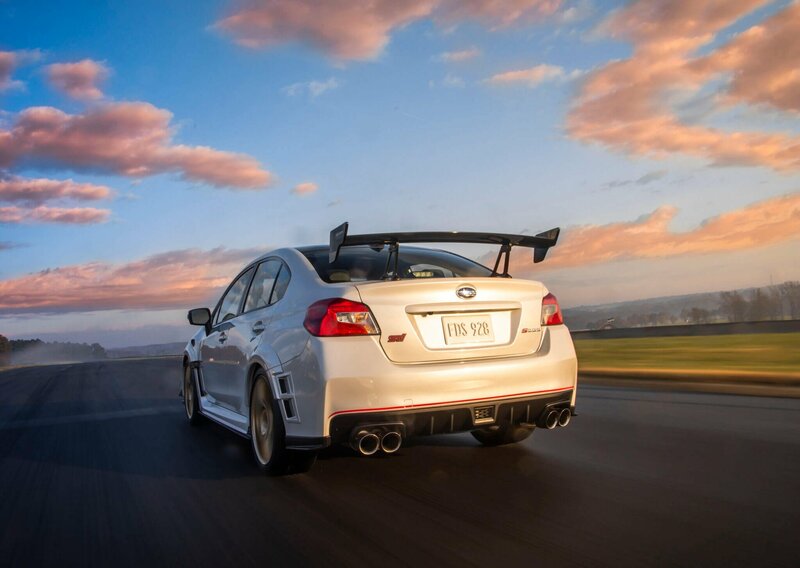 After 19 years, the US is finally getting one of the fabled “S” variant Subaru WRX STIs. 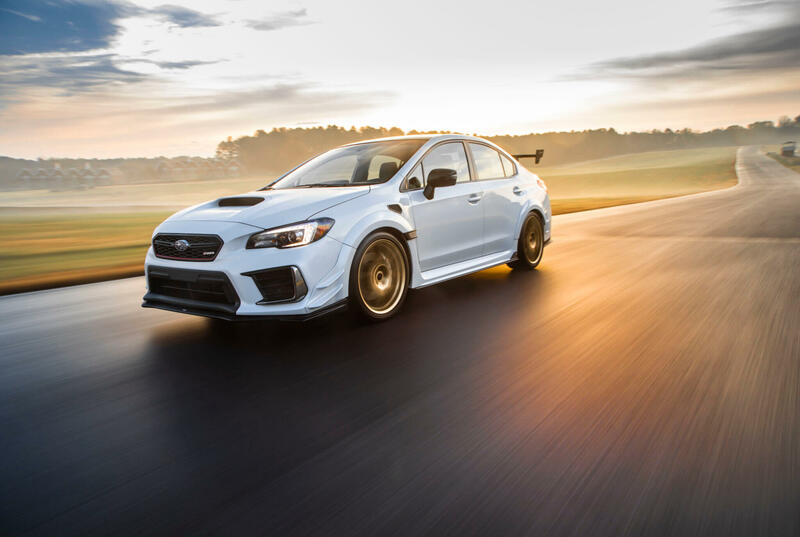 It comes at the perfect time too. 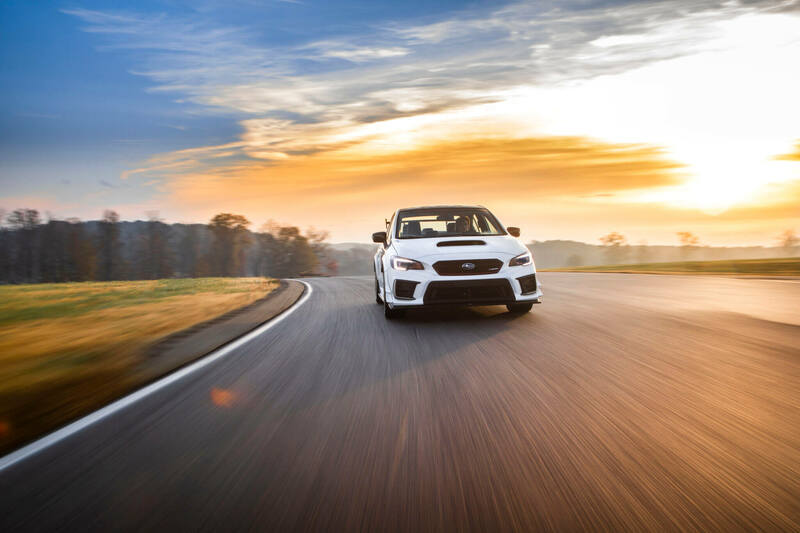 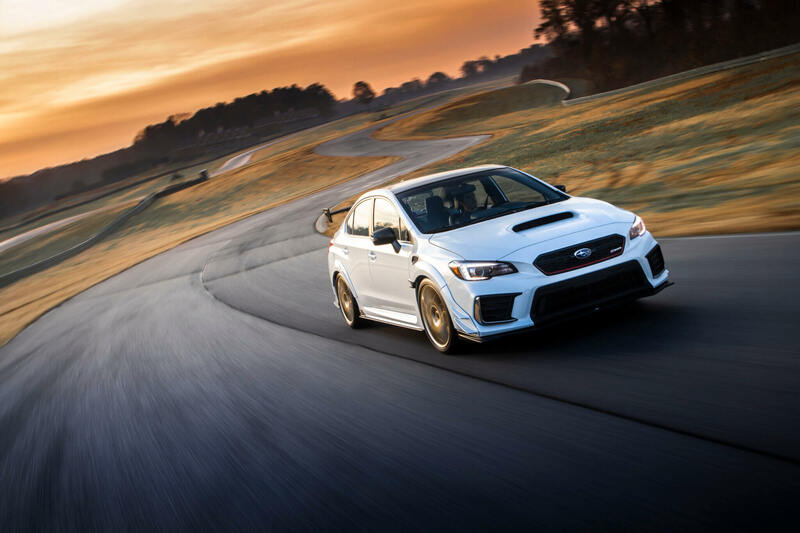 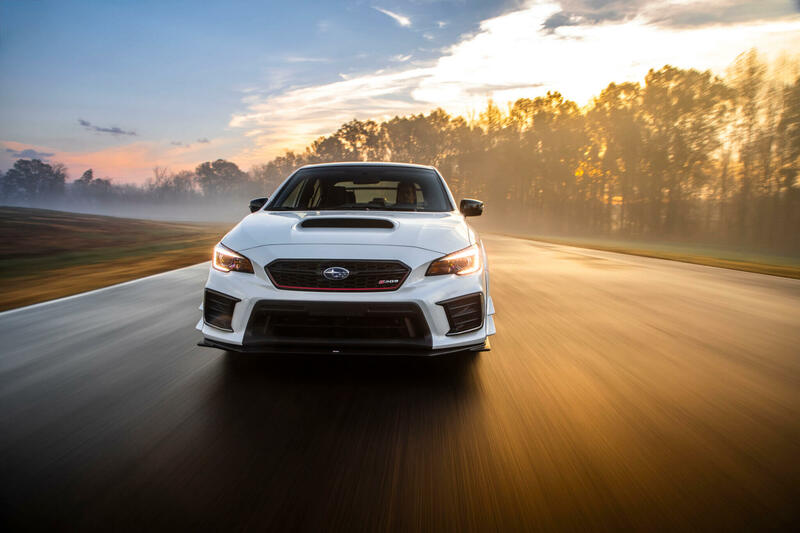 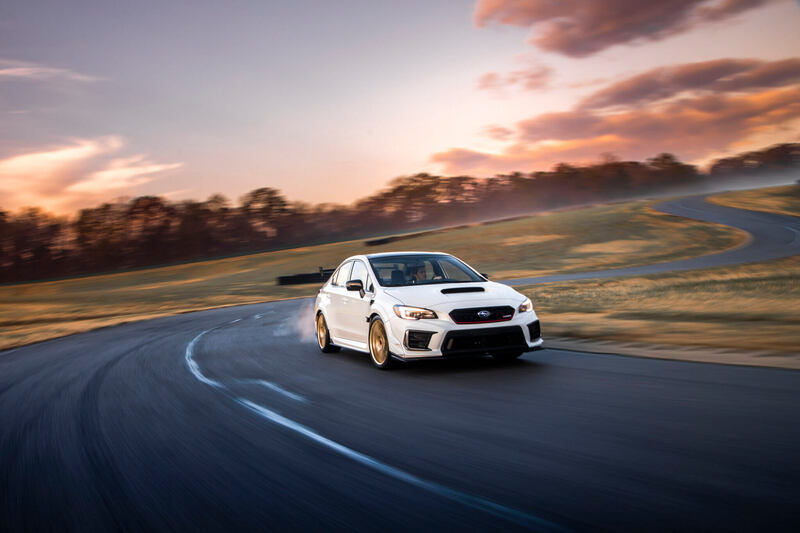 Now in its ninth edition, it packs the biggest punch of any WRX to date. 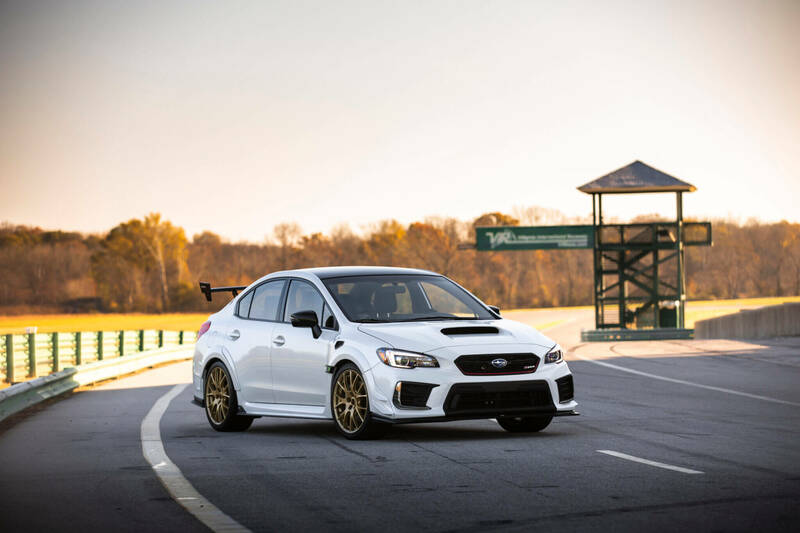 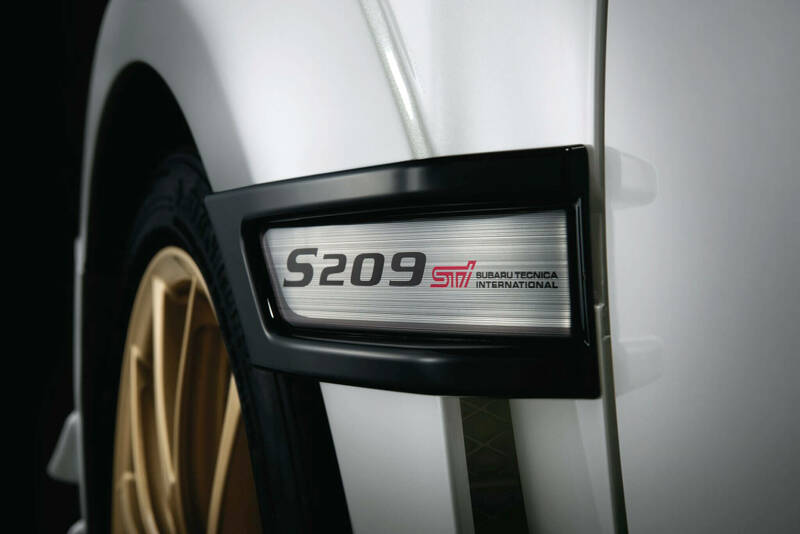 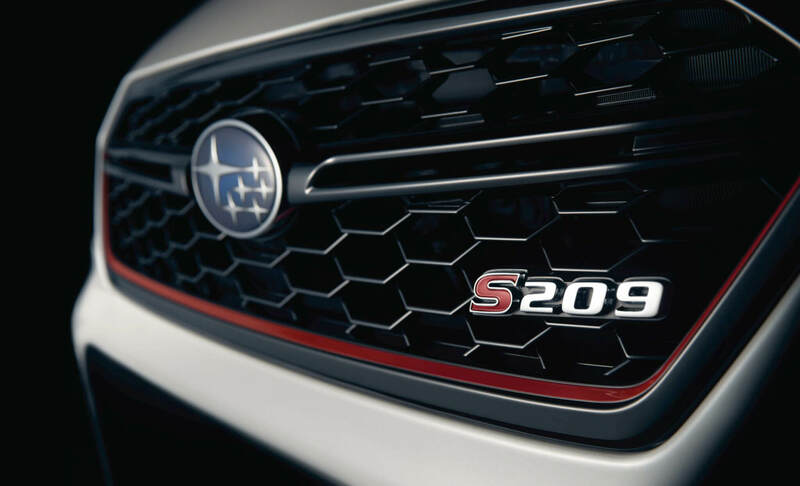 Called the WRX STI S209, its the latest from the minds at Subaru Tecnica International (STI). 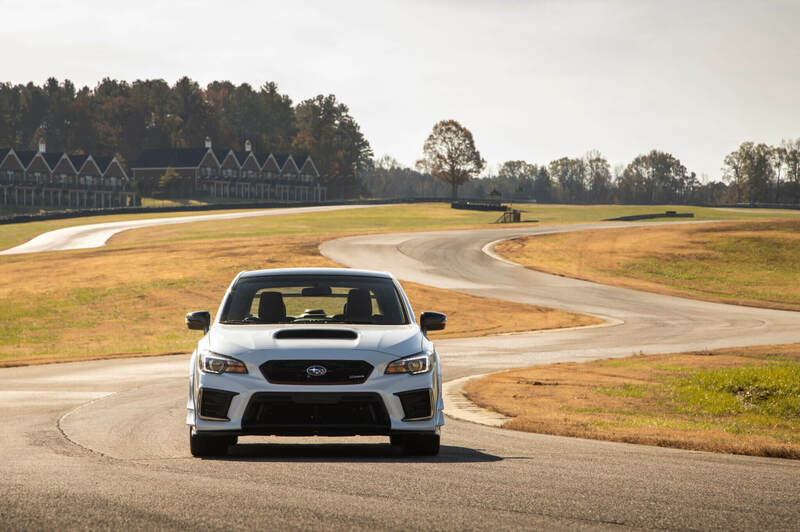 Under the hood sits the basic 2.5-liter flat four all WRX cars get. 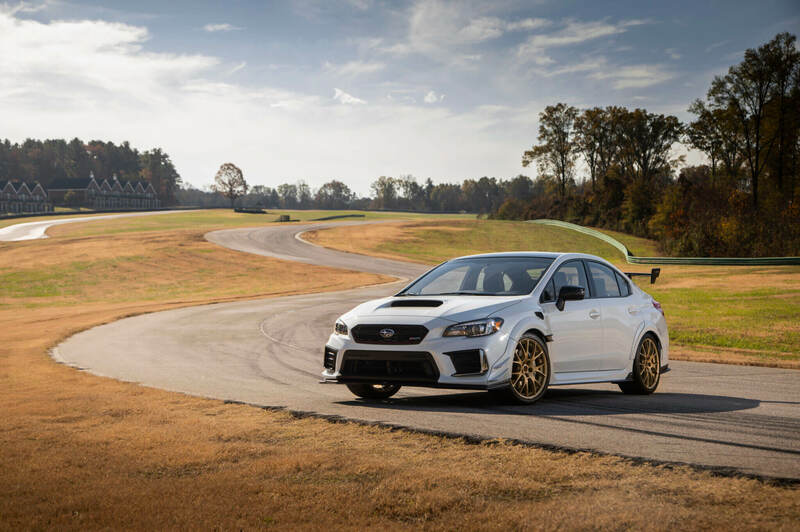 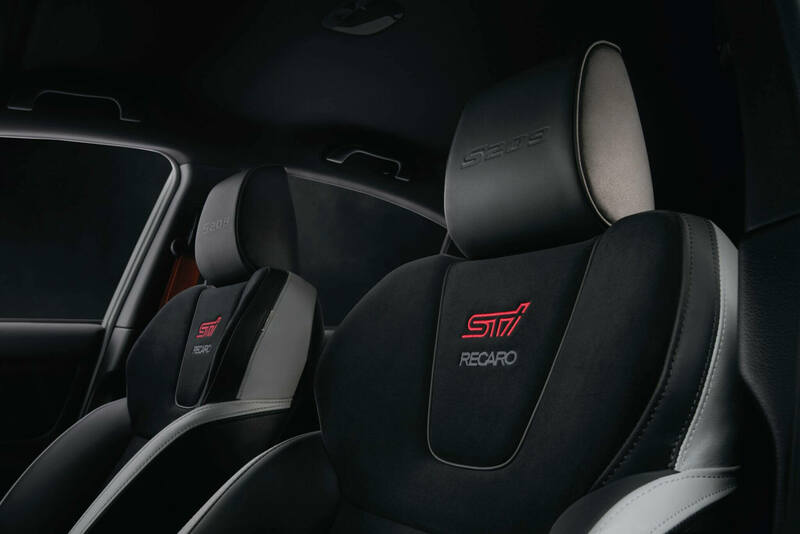 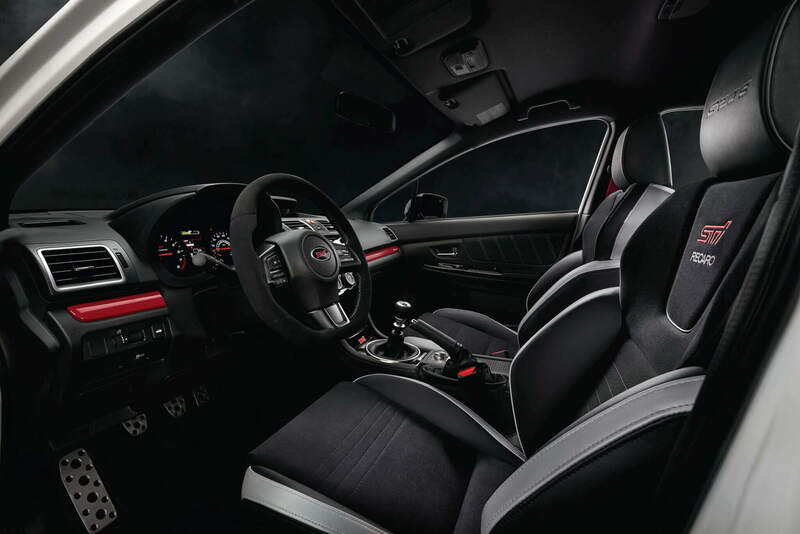 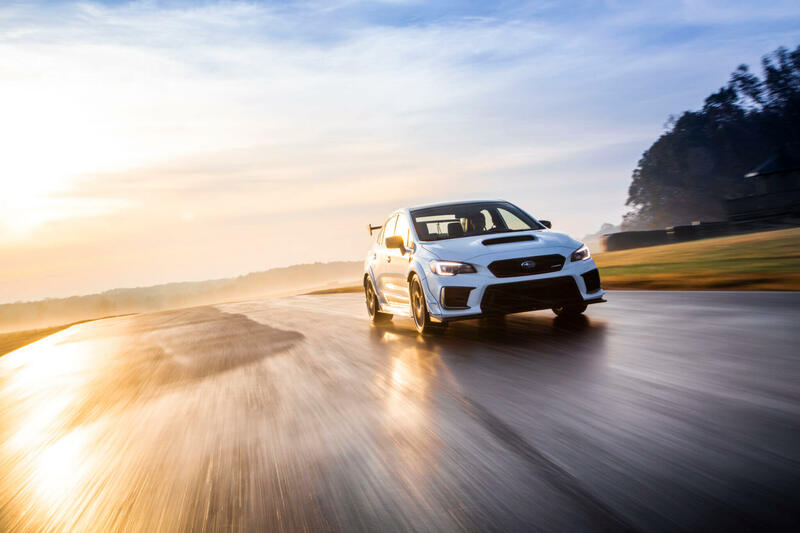 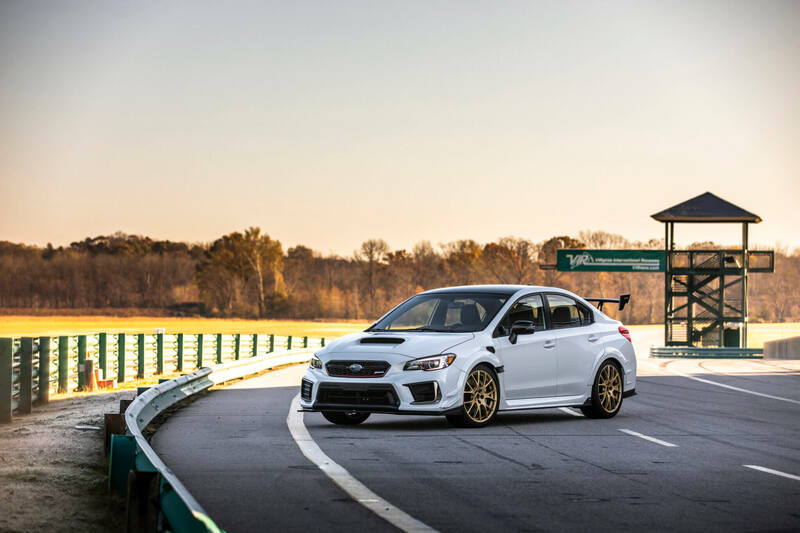 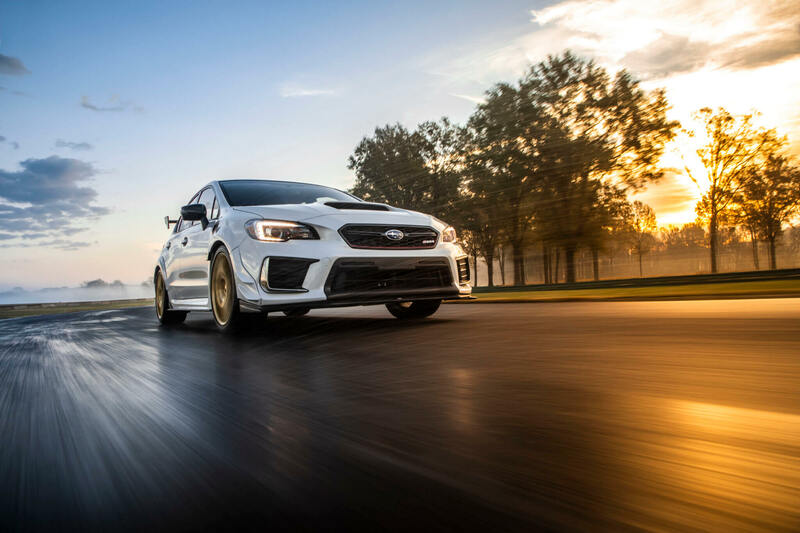 However, to make it the most powerful WRX STI around, it gets a few changes. 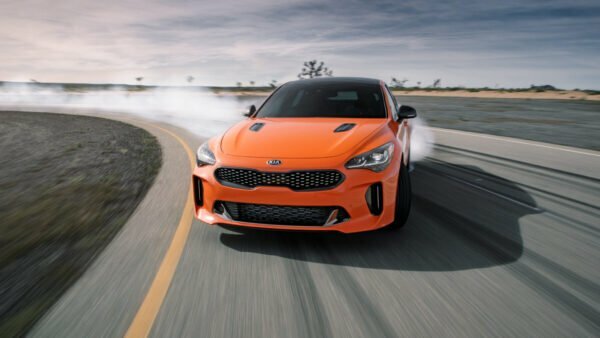 The turbo is a new HKS unit and both the pistons and connecting rods are forged. 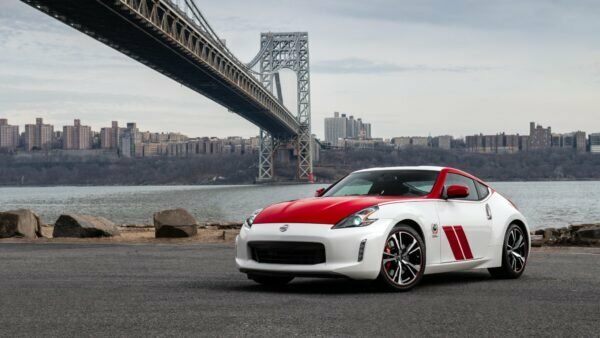 Altogether it supports an additional 1.8 pounds of boost bringing the total to 18psi. 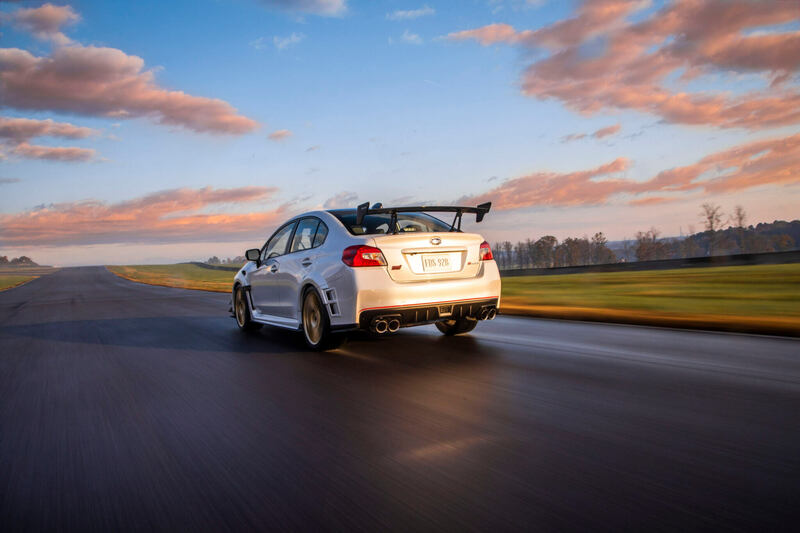 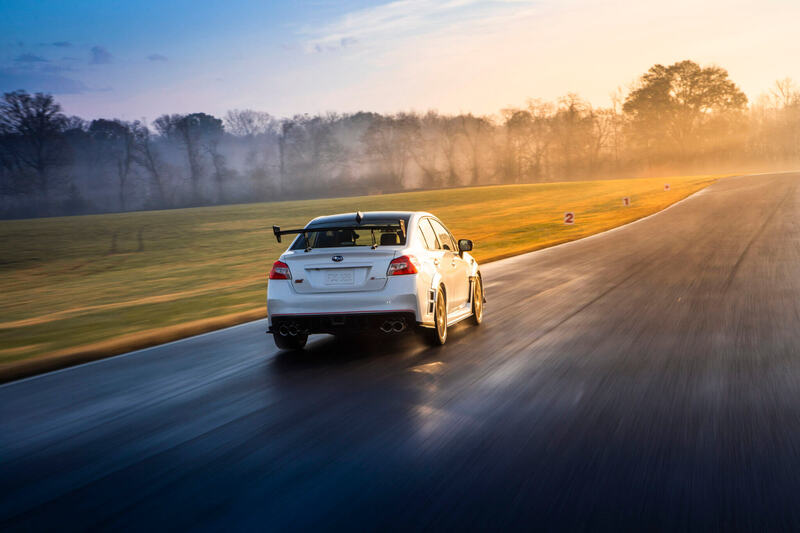 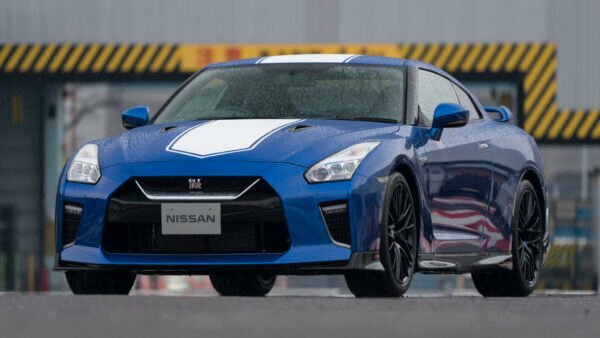 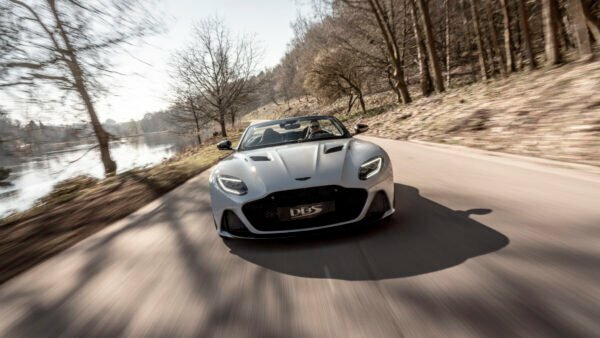 Other improvements include a high-flow intake, larger fuel injectors, and an STI ECM. 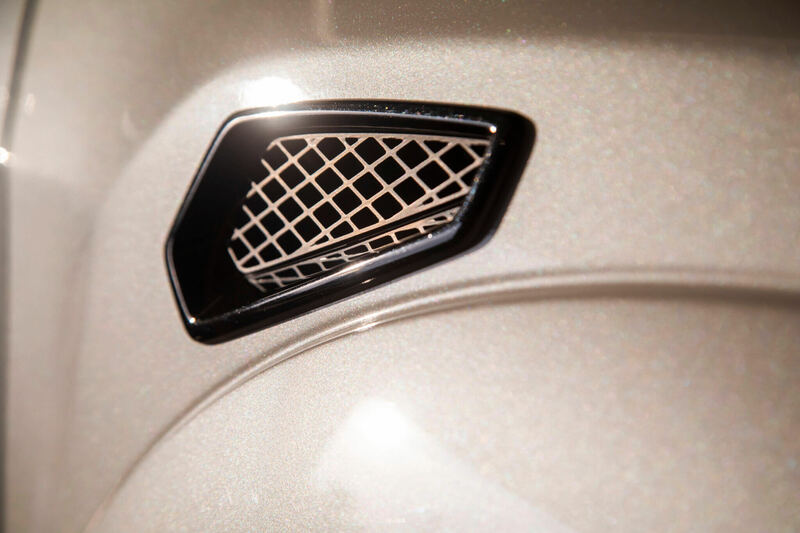 One of the cooler features — literally — is a manual intercooler water sprayer. 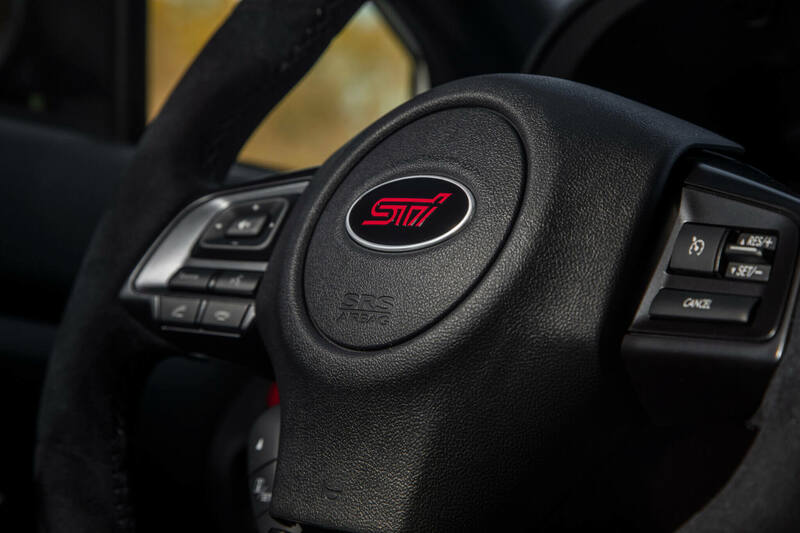 Operated via a paddle behind the steering wheel, it’s a throwback to a system seen on the 2004-07 WRX STI. 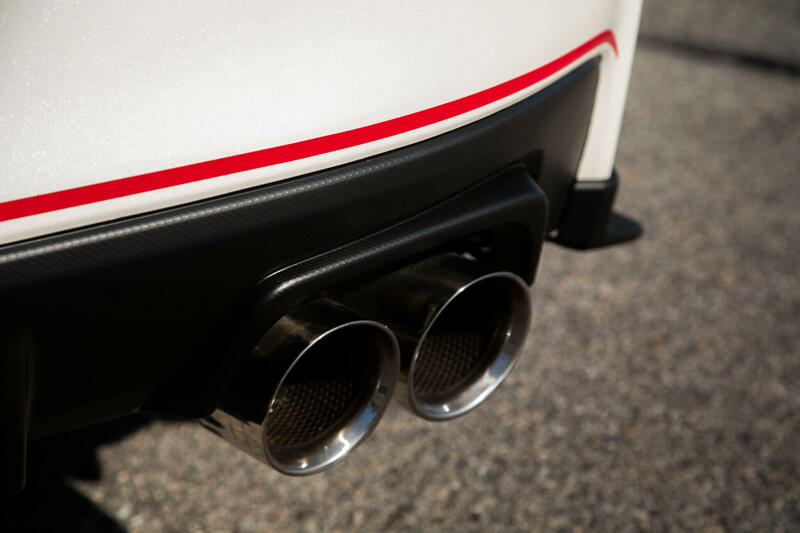 Finally, to give the S209 a perfect exhaust note, it also gets a set of performance mufflers. 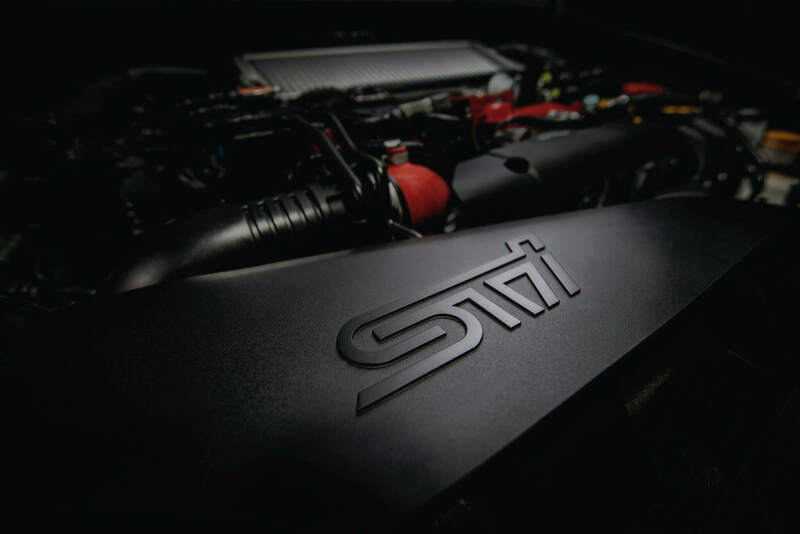 As a result of all these enhancements, the S209 turns out an impressive 341hp. 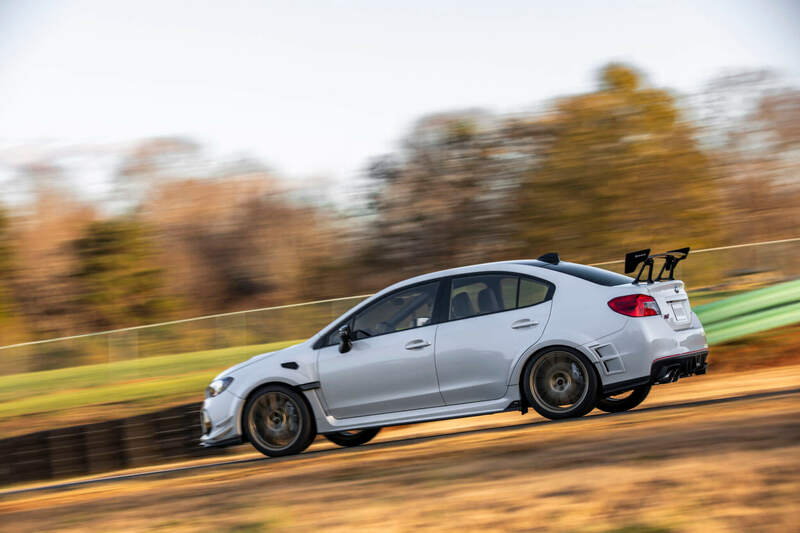 That’s 31 more ponies than the standard WRX STI. 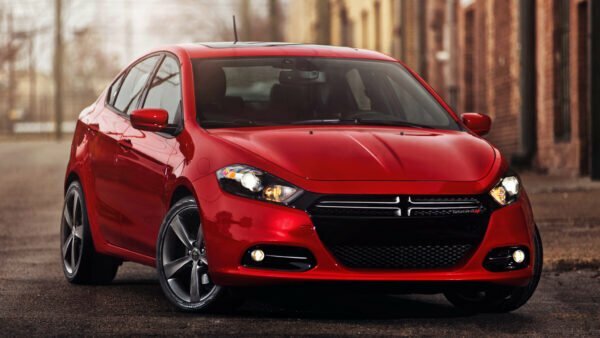 While that may not seem like a huge improvement, it’s just part of a larger package. 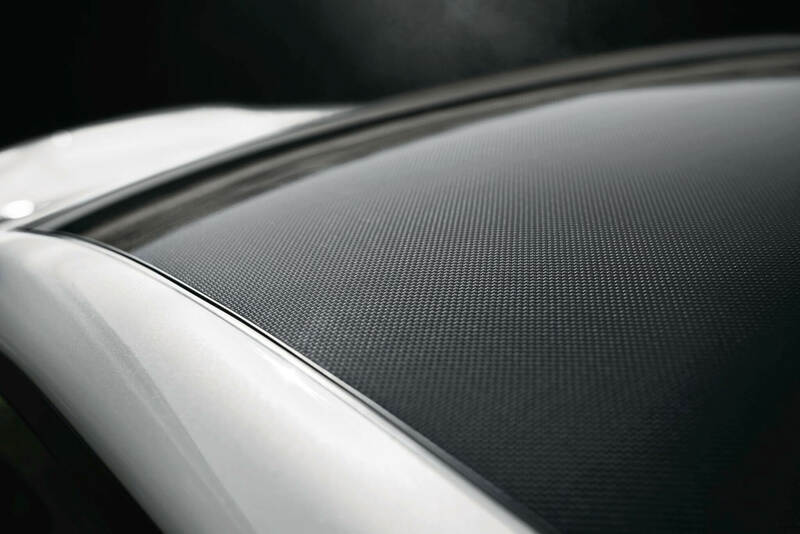 The most noticeable part of that package is the wider appearance. 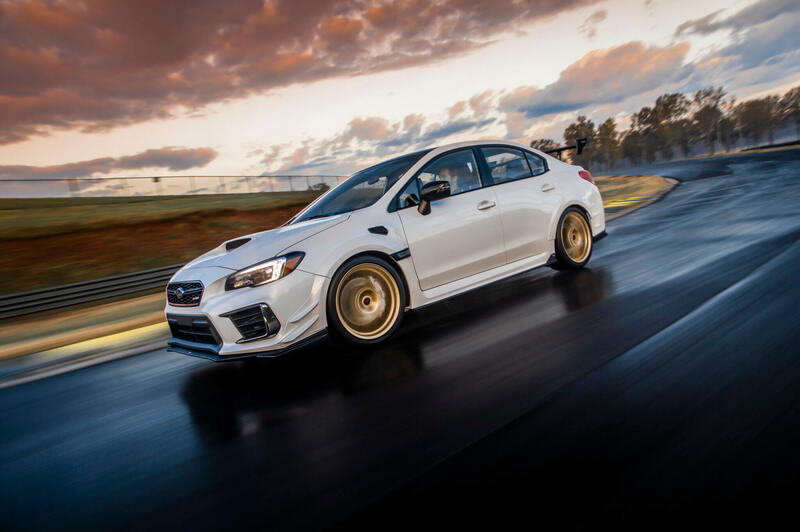 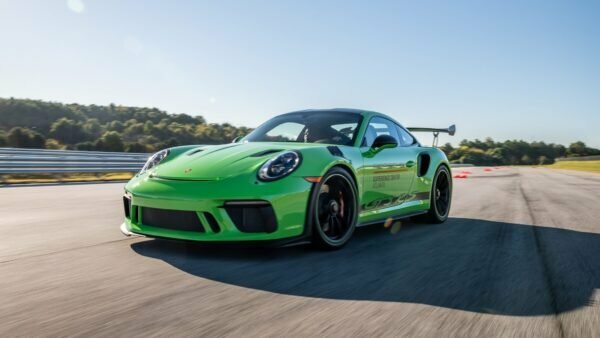 This is thanks to an aero package that takes inspiration from the WRX STI Nürburgring Challenge car. 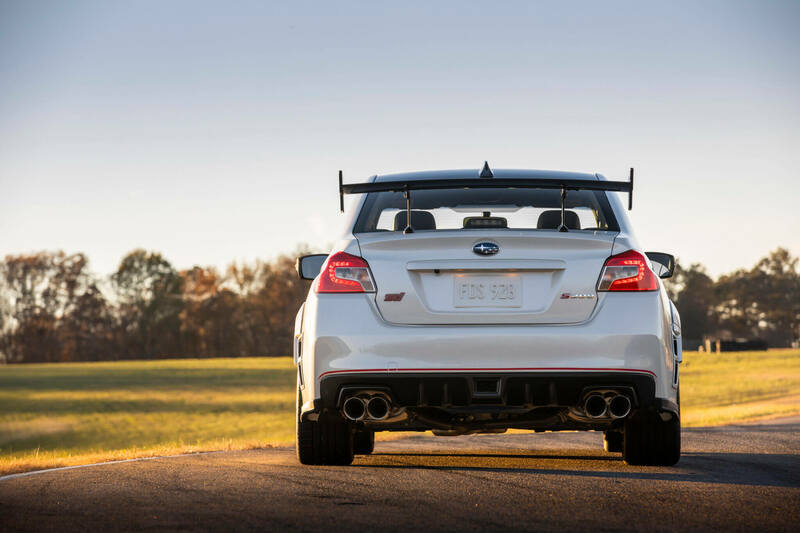 With bulging fenders and aggressive canards, it’s a full 1.7-inches wider than the standard STI. 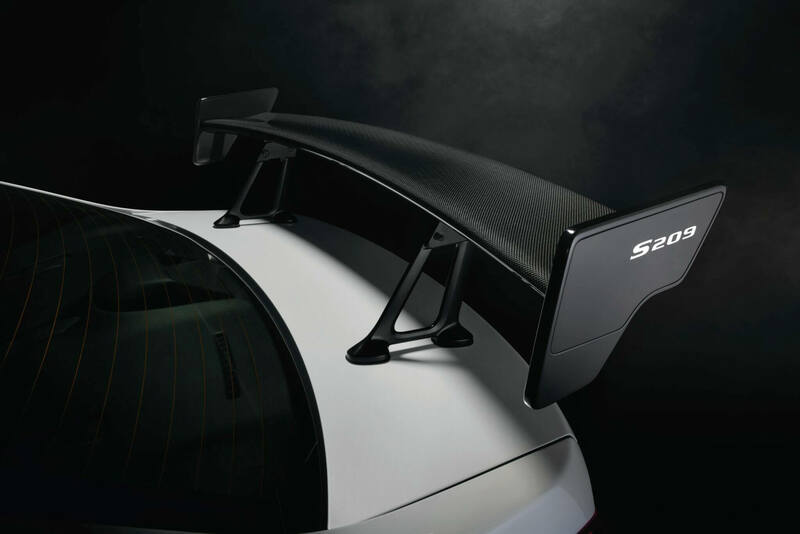 It also gets a 0.6-inch wider track as well. 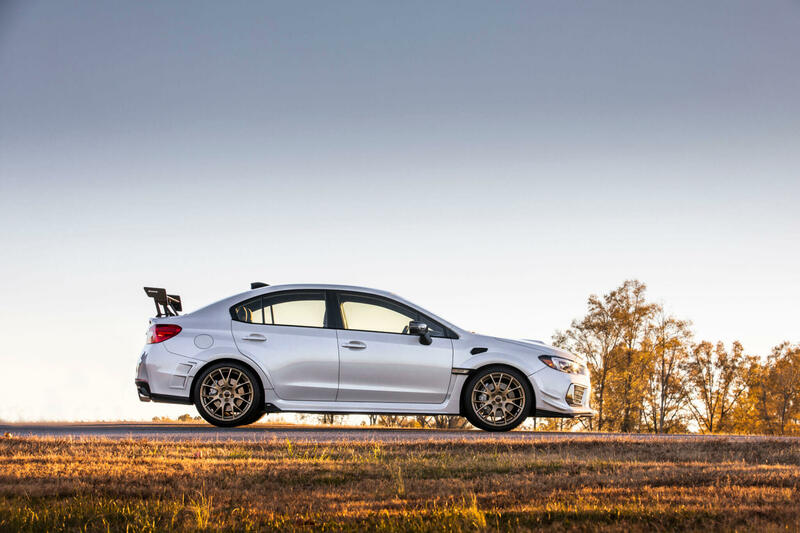 To further keep the S209 planted, it uses STI coil springs and Bilstein dampers. 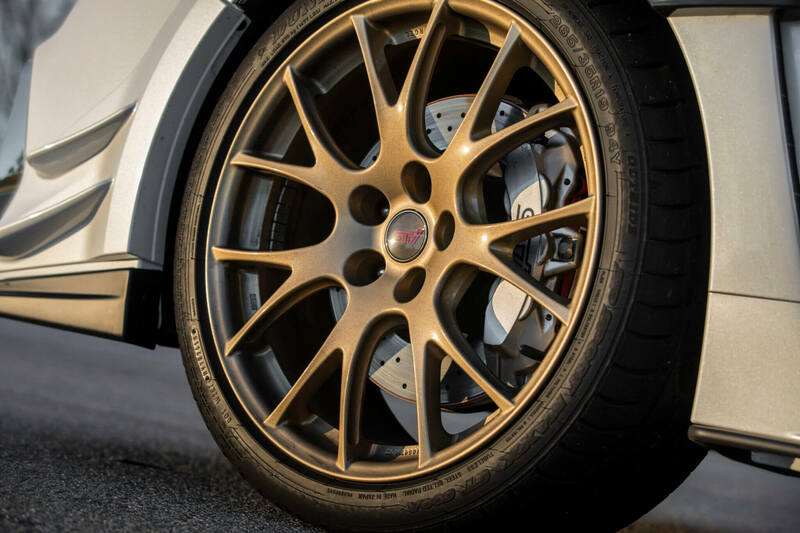 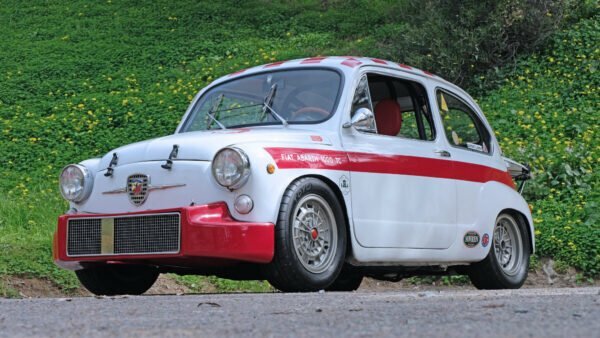 It also rides on a set of super sticky 265/35/19 Dunlop GT600A tires wrapped around BBS wheels. 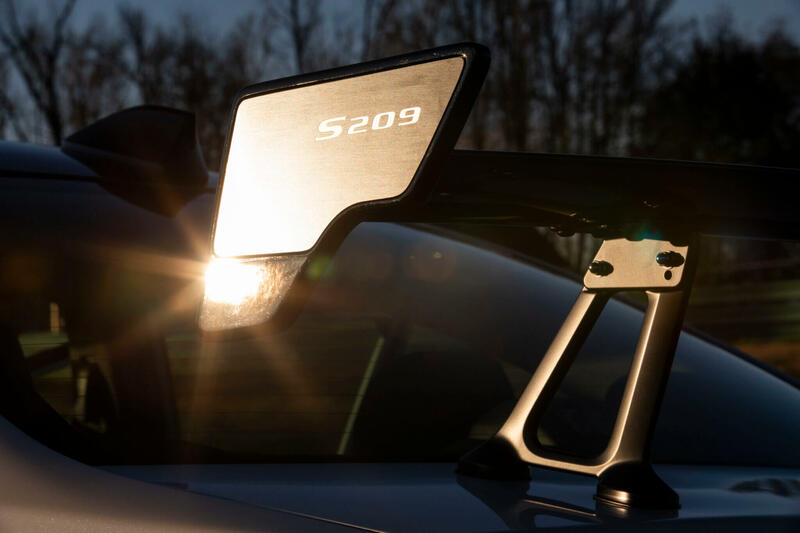 Add up all the handling goodies and the S209 is capable of 1.0g of lateral grip. 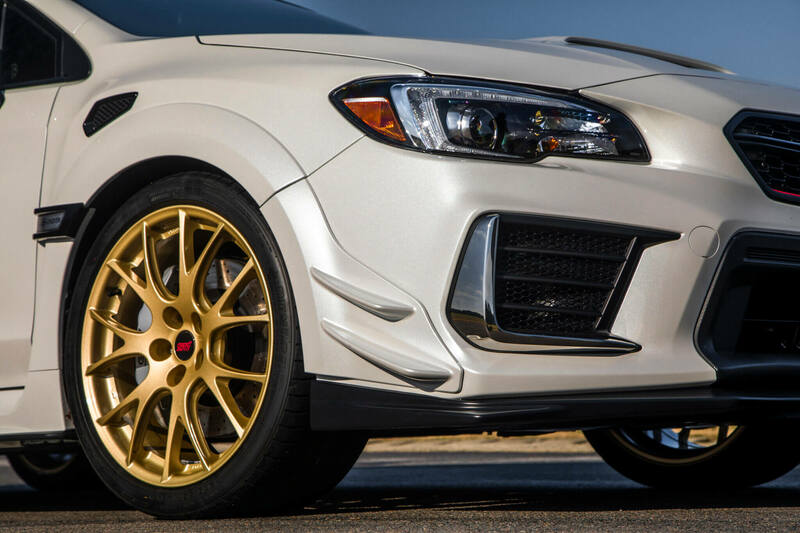 If all this sounds like the perfect WRX, you’ll need a bit of luck. 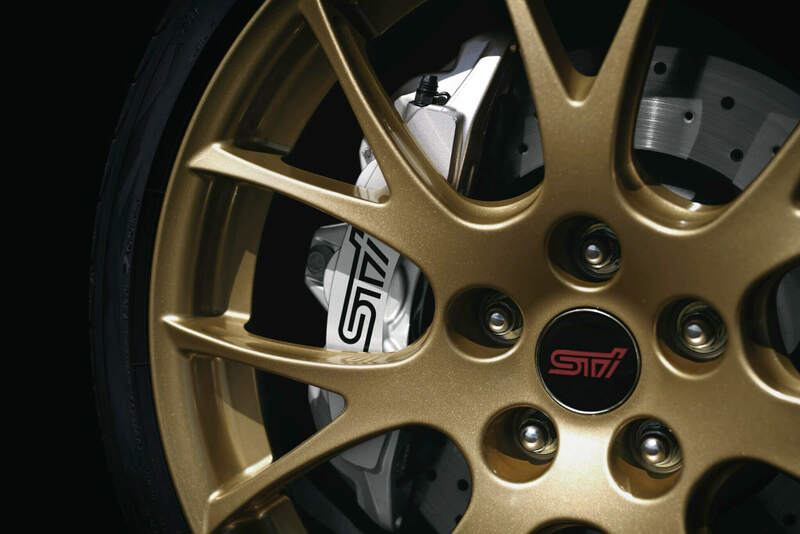 STI will only build around 200 examples for the US in two colors, WR Blue Pearl and Crystal White Pearl. 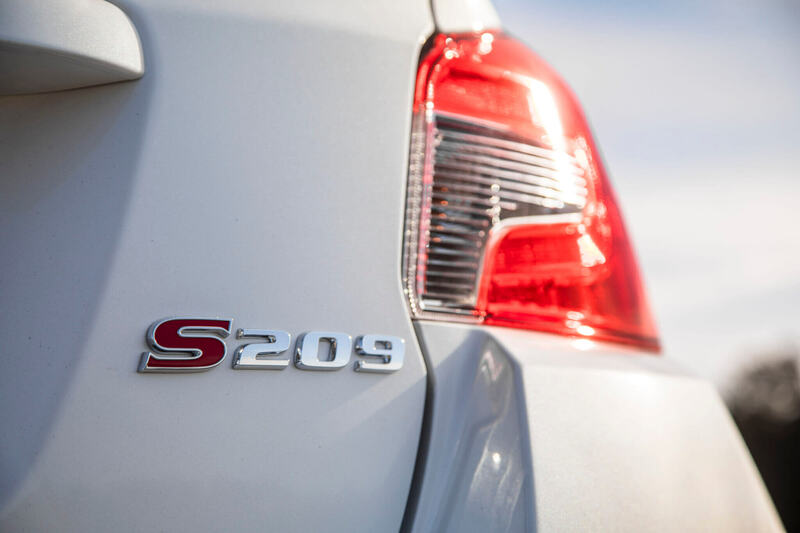 There’s no price available at this time for the S209. 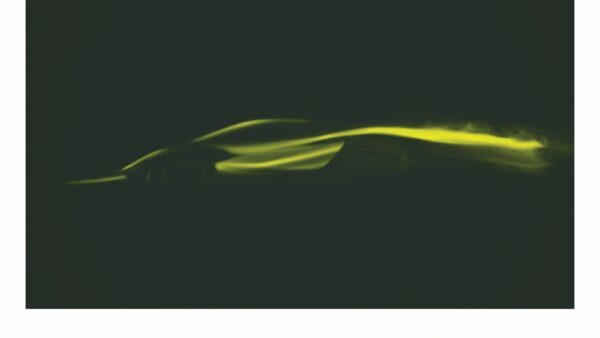 However, we should know more when ordering opens up later this year.